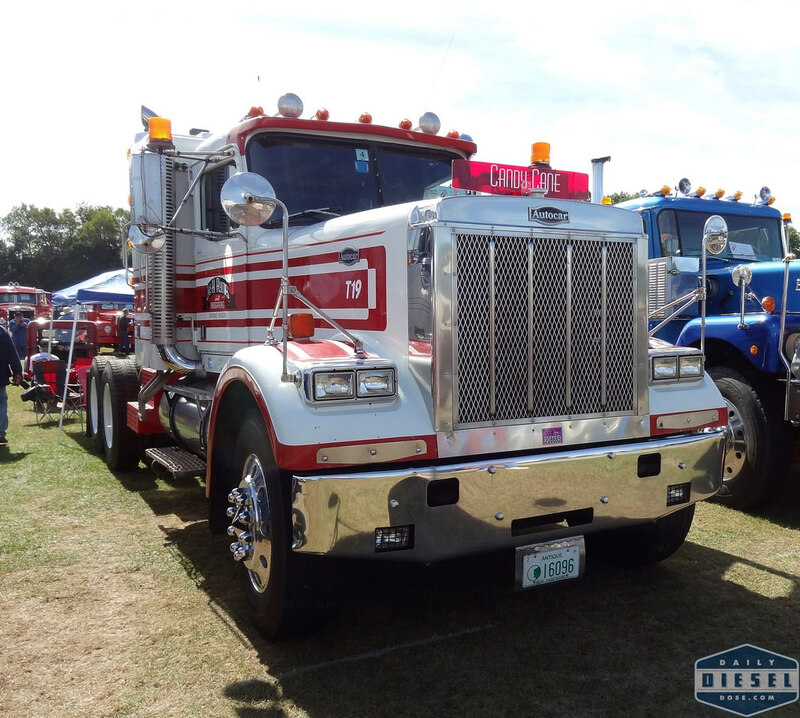 The AT64F, the last true OTR tractor offered by Autocar and often mistaken for a Peterbilt. Depending on your outlook on life this is either complement or an insult. Seen at the ATHS Hudson Mohawk show this was another classic head turner. Based on a plaque found on the dash this truck looks to be #84 of a limited 130 truck run from back in 1984. Sharp looking unit for sure. Now that I’ve seen the name on the hood visor I can’t help think of the movie Joy Ride in which the late Paul Walker and friends taunt a psychopathic truck driver by claiming to be a woman by the name of Candy Cane. No surprise, it doesn’t turn out well. 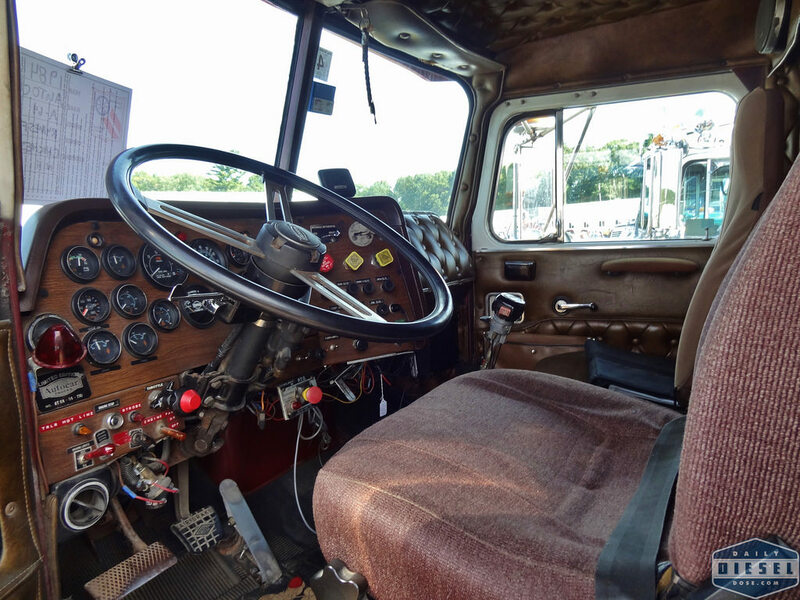 This entry was posted in Autocar Trucks and tagged aths hudson mohawk, autocar at64F. Bookmark the permalink. Thank you Jim for bringing it to the show. One of the nicest trucks on the show field for sure.